This year was the deadliest year for African journalists since 2000, according to an analysis by the Committee to Protect Journalists (CPJ). The organization confirmed 12 cases of journalists in sub-Saharan Africa killed while reporting. In Somalia, nine local journalists were murdered or killed in combat situations. Tom Rhodes is the Africa Program Coordinator at CPJ. He writes about the deteriorating situation for journalists in Somalia and explains why this figure is especially startling considering that sub-Saharan Africa has historically had one of the lowest journalist murder rates. 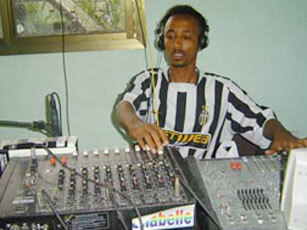 On the very first day of 2009, a Somali reporter from one of the leading independent stations, Radio Shabelle, was shot by a government soldier in a town outside the capital, Mogadishu. This month, three journalists died in a suicide bomb blast set off by the notorious Al-Shabaab insurgents during a graduation ceremony held in Mogadishu. Watch Martin Savidge interview Mustafa Haji Abdinur: Somali journalist on culture of violence and crippled press. The heavy death toll in Somalia has led to an exodus of journalists, with at least a third of Somali journalists living in exile, the National Union of Somali Journalists estimates. Those that remain in the country work under extreme duress, where self-censorship is pivotal to a journalist’s survival. Al-Shabaab now control southern and central Somalia, including the airwaves. Major towns such as Baidoa and Kismayo now only broadcast Al-Shabaab radio. But it is not only war-torn countries that have targeted African journalists. Other journalists were murdered while investigating local corruption in Nigeria and Kenya or covering the political crisis in Madagascar. CPJ is investigating the cases of two other journalists in Republic of Congo and the Democratic Republic of Congo to determine whether their deaths were related to journalism. No perpetrator in any of the African cases has been brought to justice. Such a record sends a chilling message to local reporters: you can be killed, at any time, without repercussions. Impunity towards the killers of journalists in Africa is unfortunately not a new phenomenon. This week also marks the anniversary of two unsolved murders of veteran journalists: the 1998 killing of Norbert Zongo from Burkina Faso and the 2004 murder of Gambian editor Deyda Hydara. Despite their popularity within their respective countries, local journalists hold little confidence in authorities to actively pursue their cases. Africa’s high rate of killed journalists reflects a morbid trend seen across the world. At least 68 journalists were killed for their work in 2009 — the highest yearly tally ever documented by CPJ. The nature of journalists’ deaths in Africa also reflects a global pattern: most were local reporters and most were murdered. As in past years, murder was the leading cause of work-related deaths in 2009 worldwide, representing about three quarters of the cases. As media outlets scale back on costs and rely more and more on local reporters for their international coverage, the more we may see this trend increase. For this reason, among many others, the death of journalists in Africa and worldwide should be a matter of concern for everyone.